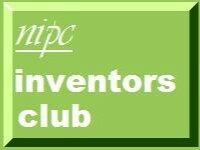 Just a reminder of the meeting of the Sheffield Inventors' Club on Monday 2 March at 18:00..
Prof Ron Jones will give the talk on how to bring your invention to market that he was prevented form giving last month by the weather. The meeting will take place at Central Library, Surrey Street, Sheffield as usual. Hey guys theres a machine shop that specializes in prototype parts for inventors. I had some parts made by them and wow very reasonable price and it was perfect. There web site is www.tnamachineworks.com. They don't mind just giving you quotes either.